The very air is electric. Every morning, you awake expecting to hear the sounds, smell the smells, feel the stickiness, get bitten by the yellow jackets, get stacked up in traffic, and in general curse up one side and down the other of that best/worst of times, the vendange. As summer ends and fall approaches, the vintners begin to go to their vineyards earlier and earlier in the morning. The first grapes that are ready to be harvested are the whites, the chardonnay. 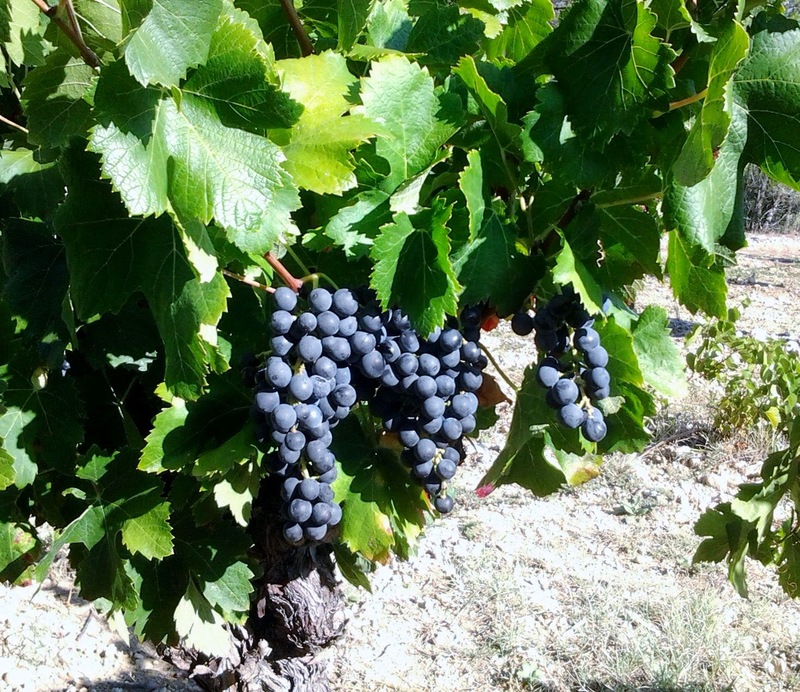 If you know your local viticulture, you may even be able to predict which vineyards will be ready first. But in short order, everyone will know. The vintner decides. 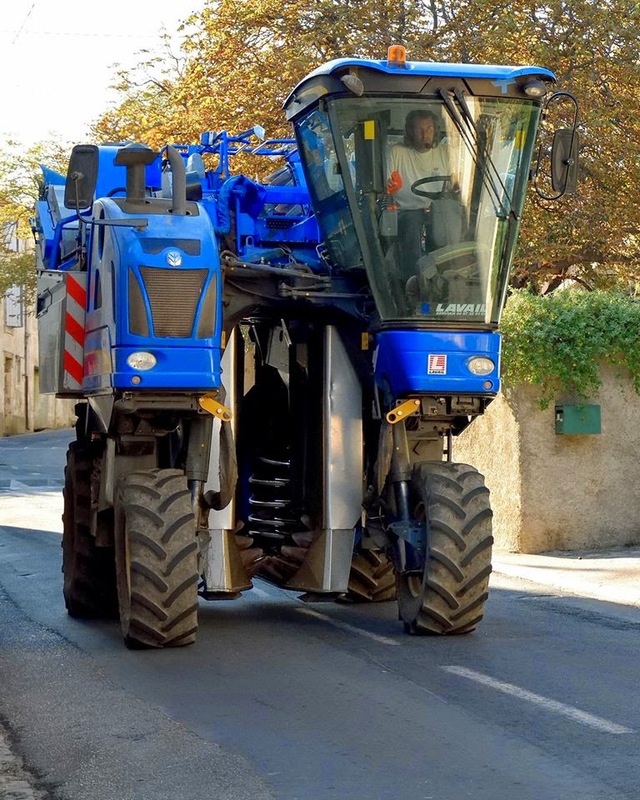 The big, honking mechanical harvesters hit the road. Cars and trucks jam the verges of the vineyards that are to be hand picked. Tractors with trailers that are numbered to identify to which section of which vineyard their contents belong make their stately way to the co-ops, leaving trails of grape juice at every curve along the two-lane blacktops that they travel. They dump their loads and they go back for more. And if you have to be anywhere during the vendange, you'd better add a half hour to your travel time. At the end of the day, the tractors bring their trailers to washing stations. The gutters run with more of the juice, keeping the ready supply of buzzing, biting insects happy. And who knew that grapes in bulk could smell that strongly from that far away? But it's worth it. It's worth the trouble. Because soon, not too soon but soon, we'll be sitting on the terrace. 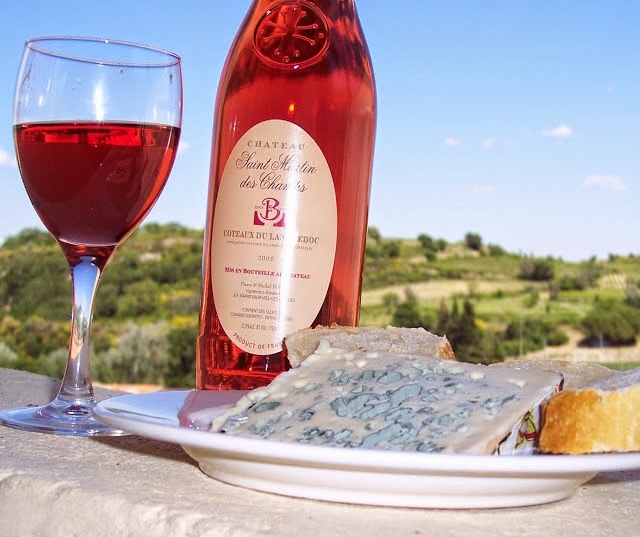 enjoying the sun, eating the cheese, and drinking the end result, the wine.